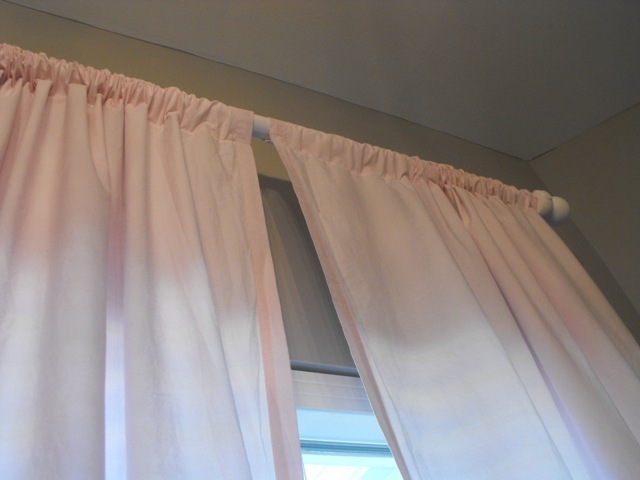 Susie Harris: DIY Sheet Curtains! One twin flat sheet needed....that. is. all. folks. I lucked up and found just the color I was looking for. I pinned it to get an idea where I wanted it to hang. 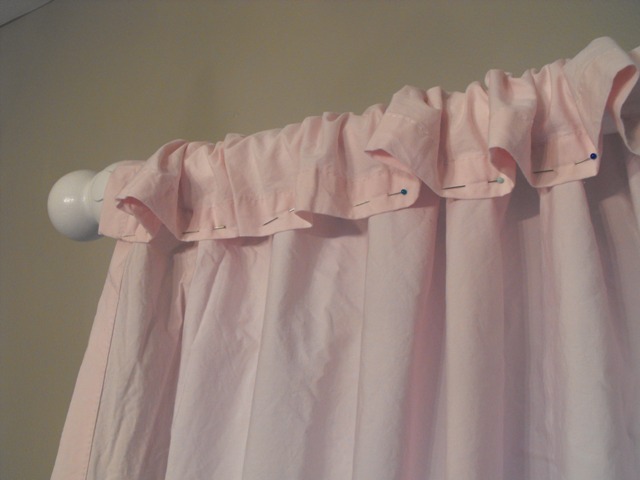 I sewed a small pocket for the curtain rod to slip into. I then cut the sheet/curtain in half ...right down the middle. 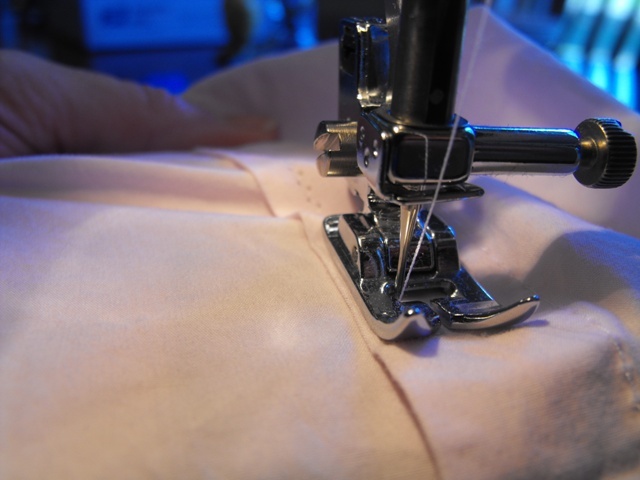 From there I gave each side a nice new hem..
or would that be seam? I told ya'll I sew like a 3rd grader...ha! 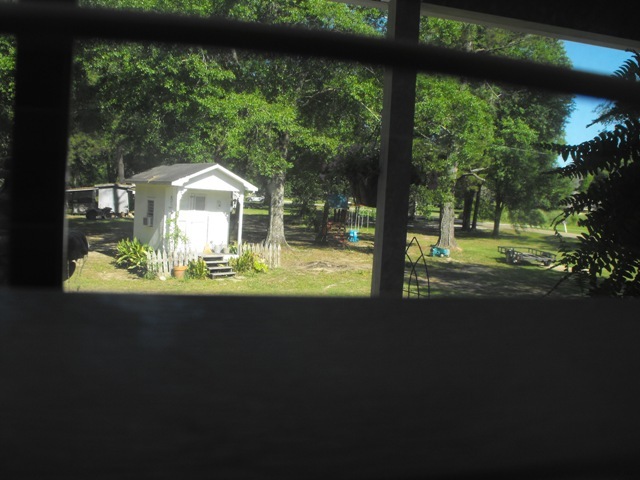 While I was up on the ladder I peeked out of her window. I think I may just move in her room...ha! 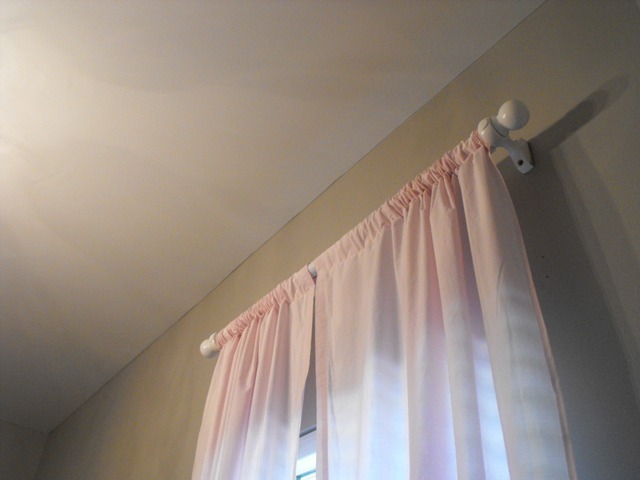 I used a sheet for my bedroom curtains recently after I saw Donnas from Funky Junk blog. P.S. What a few from her window...so dreamy!! Very cute! I'll have to keep my eyes peeled for some cute sheets! My daughter has those sheets too! LOVE 'em! I've done this too! It saved me a ton. And it was even better that you only had to sew a pocket for the rod. Love it! 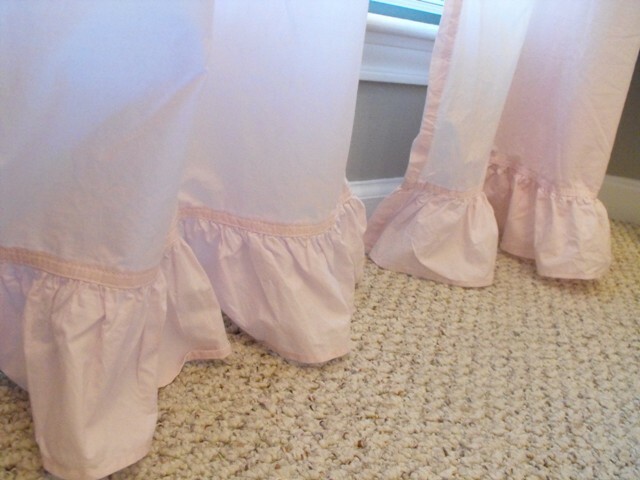 I used a plain white twin sheet for my bedroom curtains too. A whole $7.00 from Wal-Mart. Wish they had the little ruffle though. This is a fantastic idea and the curtains turned out great. There are so many pretty patterned sheets to choose from! Kudos to you, Susie! Great idea. This is really cute. What a wonderful momma you are to change her room after putting so many wonderful and personal touches in the "before." I'm sure that the new "after" room will be even more wonderful than the last. It's already looking great! P.S.I'm still in love with the faux chandy in her old room! I wish I were as talented as you are to be able to copy a great design by simply looking at it. That is a great idea and thank you for sharing with us!!! 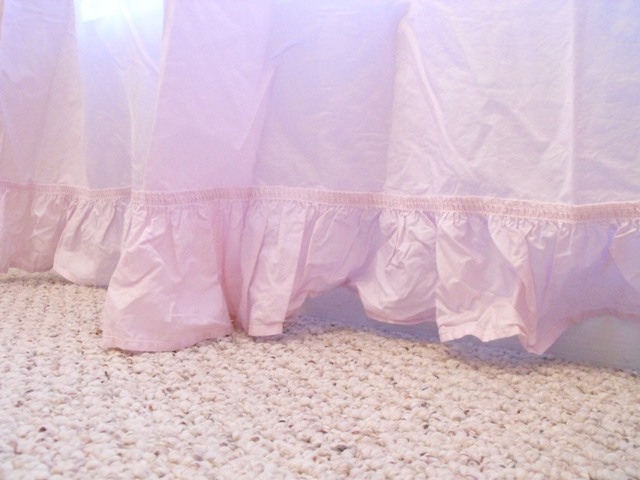 Smart idea and so girly with the ruffle! Love your curtains...now you can be two sheets in the wind without offending anyone. I've been using sheets for curtains for over a decade, but never had any that look as good and as cute as yours! Love the curtains! What a great and cheap idea! I've been looking for new curtains for our guest bedroom and I think I've found my solution. 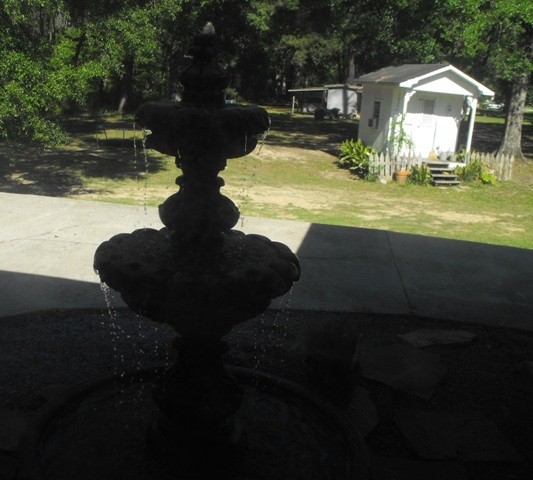 Thanks for sharing, Susie! Thanks for stopping by. It's always so nice to hear from you. A makeover is A comin' !